I've always love snowglobes so it was a no-brainer that I had to purchase the Lawn Fawn 'Ready, Set, Snow' stamp and die sets. Lawn Fawn has an easy to follow video of how to put the snowglobe ornament together so I won't go into details here. 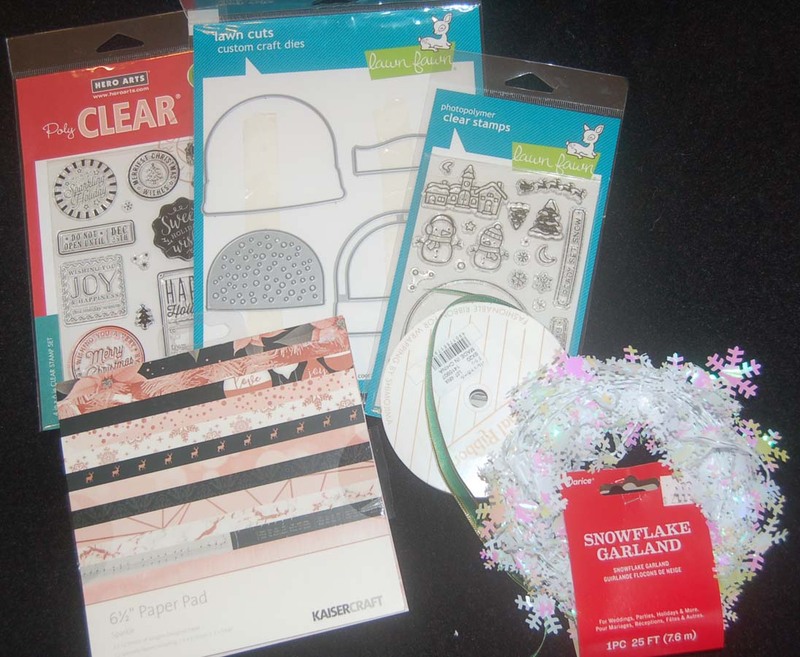 I used printed card stock from a Kaiser Craft 6x6 pad that I purchased from HM Ben Franklin Crafts. I didn't like the way the side of the ornament looked because I didn't align the pieces neatly so I wrapped Heiko ribbon around the ornament and tied a knot at the top. The ends of the ribbon were glued together to make the ornament hanging loop. Snowflakes were plucked from a Darice Snowflake garland (HM BFC) and glued over the knot and on the back. 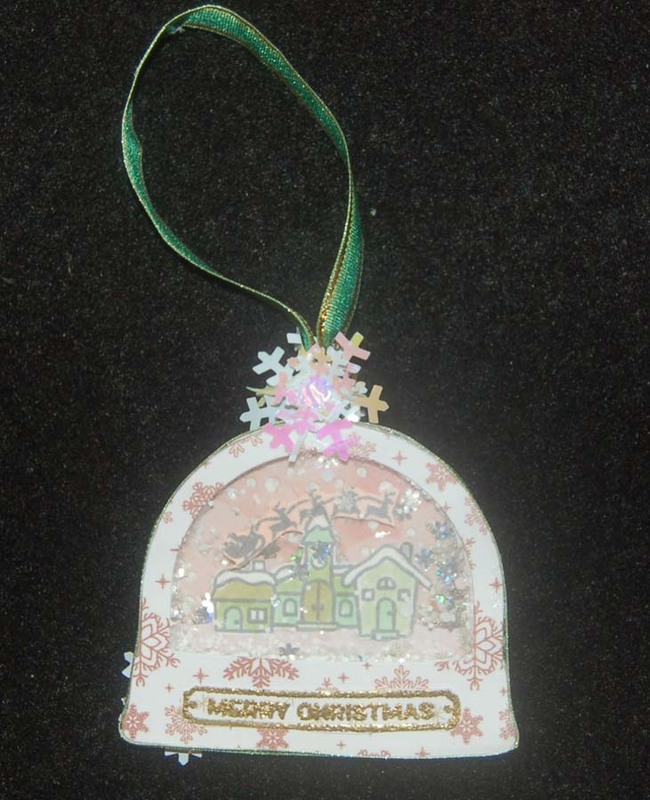 The Merry Christmas label was heat embossed with Nuvo powder and cut out before attaching it to the ornament. I filled the snowglobe with tiny snowflake sequins, micro-beads, and glitter. 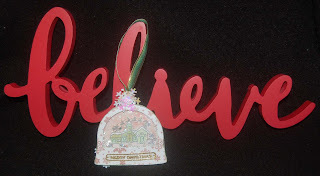 The back of the ornament was stamped with a Hero Arts stamp (purchased in a set from HM BFC) and room was left for names if I decide to use the shaker snowglobe for a gift tag. Well, that's it for now....gotta make more tags, cards, and thank you notes. Happy Holidays! OMG Lynn, you did a fabulous job on this snow globe ornament. Love all the details.